In this second article on look exchange we’ll try to migrate a look created in SpeedGrade CC to DaVinci Resolve 10. 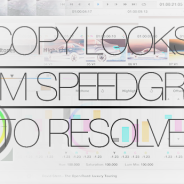 SpeedGrade works extremely well with other software and grading solutions. Iridas used to develop a version called SpeedGrade Onset whose purpose was to create looks on set and eventually move them to the grading station or to the lab for daillies. SpeedGrade then inherited of this great ability to export various kind or flavors of LUT for a wide range of color grading workstations. First, we have to open a SpeedGrade project and create a look. For this look we will only use one stack containing three look layers. Now that we have our look, we have to jump out of SpeedGrade to create our Look folder. You cannot create a new folder on your disk from within the SG interface. SO we’ll go on the Desktop and create a “SpeedGrade_looks” folder. We can already create the “SpeedGrade_LUT” folder at the same place too. Back in SpeedGrade, in the Look tab, type CTRL+L to call the Look Management window. You’ll see a small disk browser on the left and a series of tabs next to it. Select the first tab and use to browser (called the tree control) to navigate to the “SpeedGrade_looks” folder you just created. If you don’t see it click the circling arrows at the bottom under the tree control to refresh the folders. Once selected you should see the name of the folder in the tab name. Now, to save the look, we need to proceed in two steps. First, we’ll save the grade and then, we’ll output the LUT for Resolve. Make sure your clip is selected in the timeline and that you see the 3 layers of your stack in the Layers window. Then click the button representing an arrow pointing down on a disk called Save .Look. A thumbnail will then appear in the Look Management tab. You may double-click the label to change it. I’ll call mine “Blue Amsterdam”. Once you rename it, you can go back to the folder you created on your desktop and you’ll find out that SpeedGrade created two files: a .look containing the color grading information and a JPEG as a reference. These files are now available for every SpeedGrade session on you station. As long as you can find back this folder, you’ll be able to reload these look on other shots. You can also access them from Premiere CC and Photoshop. But you still can’t open them in Resolve. To export this look to Resolve we have to create a LUT from it. 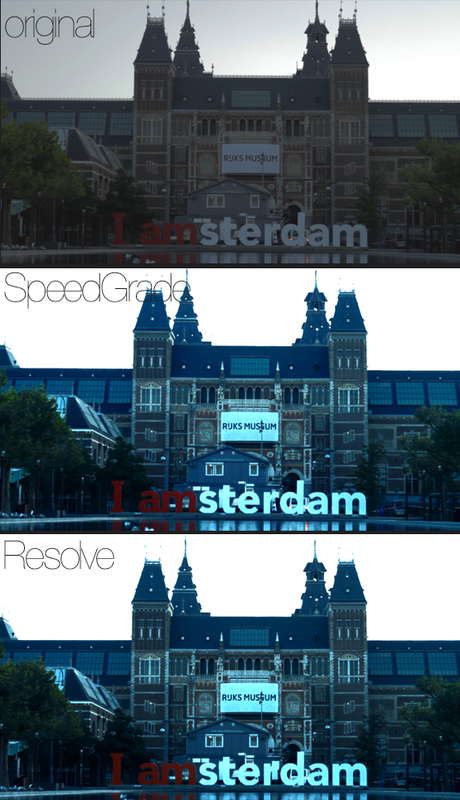 This is pretty easy in SpeedGrade. All you have to do is to right-click the .look thumbnail in the Look Manager and select Export Look. A new window will now open, giving you a very complete list of different types of Lookup Tables to choose from. 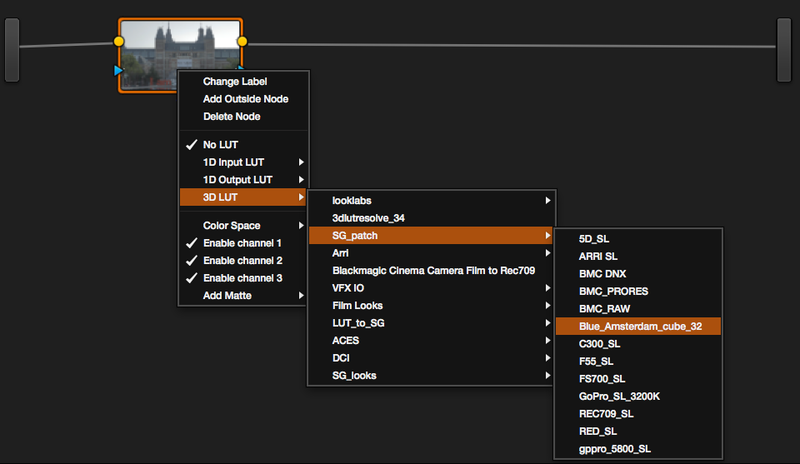 Up until here, it’s the same process to export a LUT for Clipster, Filmlight or Lustre. You just have to select the right checkbox for you grading workstation. 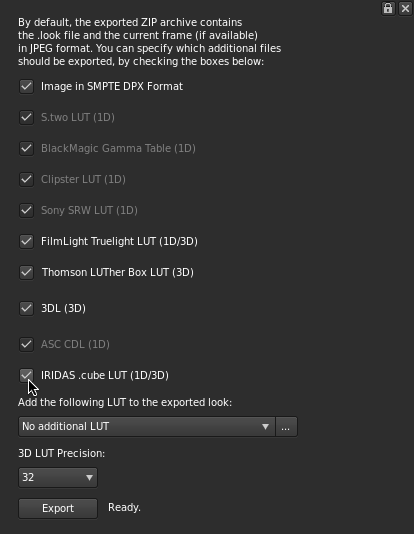 To export a 3D LUT for Resolve you have to make sure that you at least select Iridas .cube LUT (1D/3D) and put the 3D LUT precision option to 32bit. Then click the Export button. SpeedGrade will then present you with a browser window. Choose the folder called “SpeedGrade_LUT” you created earlier. SpeedGrade will then create all the LUTs you asked for and wrapped them in a ZIP file. You may now save your session and quit SpeedGrade. To retrieve your LUT, you have to go back to the “SpeedGrade_LUT” folder and extract the files from the ZIP created by SG. Now, launch Resolve and open your project. The first thing we will have to do is to place the LUT in the LUT folder. To do so, go to the Project Settings panel. You can launch it by clicking the gear button at the bottom left of the Resolve interface. 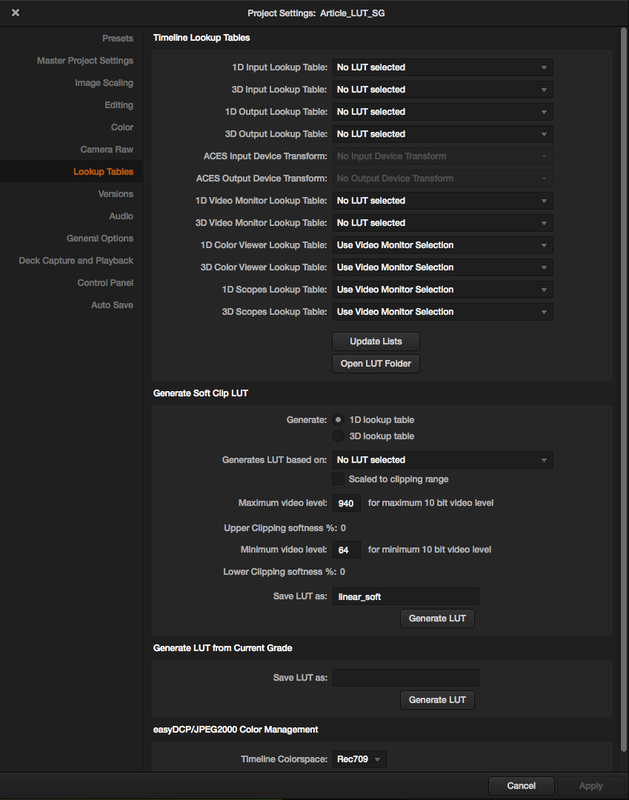 Then navigate to the Lookup Tables tab of the Project settings window and find the “Open LUT folder” and click on it. This will open the folder where Resolve keeps all of it’s LUT. Once it’s opened, create a folder with the name of your project. I’ll call mine, Amsterdam_EP01. Now open a new Finder window and browse to the folder called SpeedGrade_LUT and open the folder in which you extracted the ZIP file. 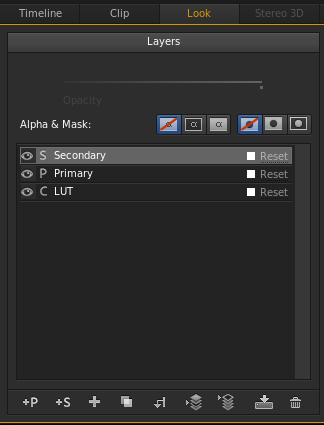 Find the file with the .cube extension and copy it to the Folder you created in Resolve’s LUT folder. Once it’s done go back to the Project Settings window in Resolve and click the Update Lists button in the Lookup Tables tab. 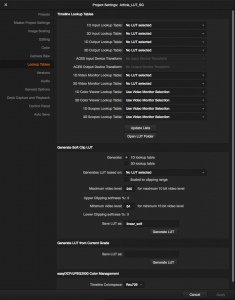 Resolve should now have seen the new LUT and made it available for you. Import your shot in Resolve. Select it in the Color page and right-click on the associated node. 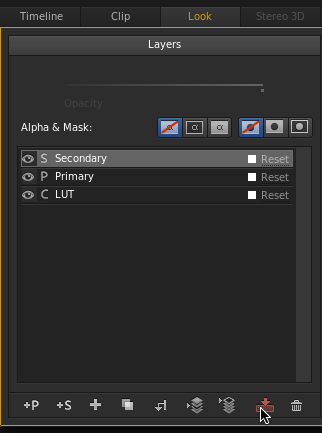 In the pop-up menu, you see the the 7th option is 3D LUT. If you bring your mouse over it, it will show all the folders in the LUT folder containing 3D LUTs. If you hover over the folder you just created you’ll find the LUT you created in SpeedGrade. When you find it, click on it. This will apply the LUT to your shot. Using this method you can import looks and LUTs from SpeedGrade to Resolve. It could be useful for the ones using Speedgrade Onset or to export the various film stock LUT included in SpeedGrade to Resolve. 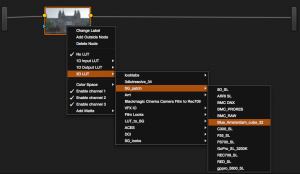 If you missed it, I also wrote on how to export Resolve grades for SpeedGrade. And, as usual, feel free to comment, suggest and share.